BELOW IS THE OFFICIAL INVITATION FROM PAULNACHE. 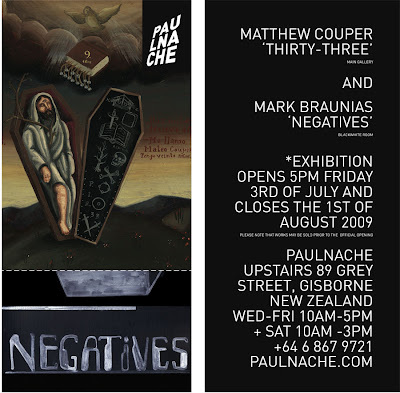 AS PER THE INVITATION, I'M SHOWING WITH AUCKLAND / KAWHIA ARTIST, MARK BRAUNIAS. THE RETABLO FEATURED ON THE INVITATION CAN BE SEEN HERE.